I can't even believe that Memorial Day is coming upon us this weekend. How can this be? 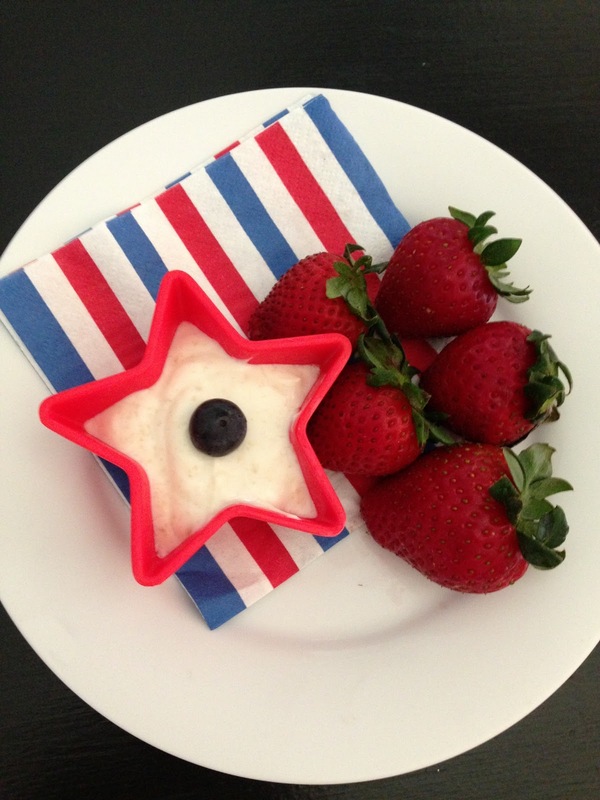 So I figured I needed to post this awesome snack that's great for Memorial Day (or whenever really) that even my kids love. It's not the most healthiest but there's worse right? I had this waiting for my kiddos when they came home from school (yes they are still in school) yesterday. I have to apologize because I don't have exact measurements to give you. According to how much you want to make just put your sour cream in a bowl and add the brown sugar until your taste buds tell you to stop! It's that easy and that good. I didn't reinvent the wheel with this one...my mom has made it for years but it's a nice change from the cream cheese and marshmallow cream fruit dip! I put this dip into star condiment holders with a striped napkin for the kids to get them excited about Memorial Day weekend! How are you getting ready for Memorial Day Weekend? Yum! I am going to try this. It might be a sneaky way to get Ava to eat fruit! We love Greek Yogurt around here too! Have fun on the boat!!!! The kids don't get out until the 6th and yes it is a total bummer ;( ;( I'm so ready for them to be DONE! Let me know if it works on Ava Lisa!!!! !